Africa, the second biggest continent, was the starting point for mankind to populate the planet. A little over eight years ago, I first set foot on African soil. Not knowing exactly why, I was deeply moved. It is a magical continent. This first visit was in Malawi where, with a group of journalists, I visited a project for orphans run by World Vision. When we hear news from Africa, it is mostly negative. Undoubtedly, there is a lot of suffering, conflicts and poverty. Still, millions of children die under the age of five years. However, there are many positive reports that one rarely hears about. One of the most exciting reports is of a regreening movement that could be the start of regreening for the whole world. It is a dream come true. Parts of Africa are already becoming greener and we should talk about it. Forests represent life, a fact we should especially keep in mind this year. In December in Paris, a successor agreement to the Kyoto-Protocol will be negotiated. Climatologists have been warning for years of the effects of global warming. Trees can make a difference. According to studies, 20 to 25% of carbon dioxide can be absorbed and transformed by plants and trees. The protection of nature and reforestation will have a crucial impact for the future of our children. If we cannot stop the trend of global warming, our children will live in a very dangerous environment. Many scientists see this as the single biggest threat to mankind today. In the last 40 years, more than one billion hectares of tropical rainforest have been destroyed. 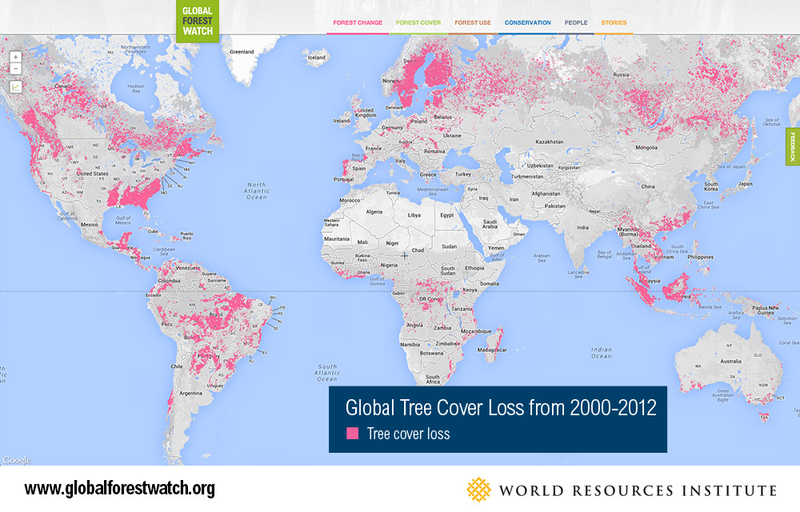 Only one third of the earth’s forests are still untouched by mankind. In April, I will return to Malawi and Ethiopia with a group of journalists to see and learn more about this new green movement. Together with the World Agroforestry Centre in Lilongwe, Malawi’s capital, World Vision will host a “Beating Famine“ conference. 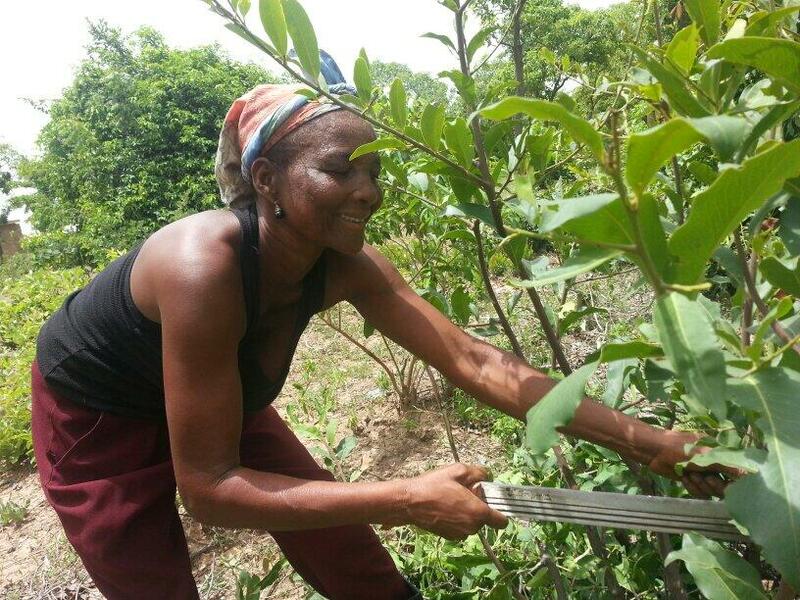 High-ranking politicians, scientists, non-government organisations and farmers from the region will attend to discuss innovative methods and something called Farmer Managed Natural Regeneration (FMNR). 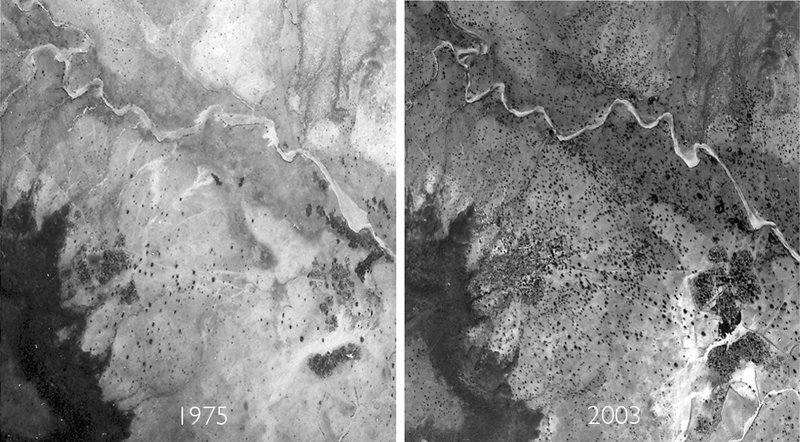 For more than 30 years, my colleague Tony Rinaudo has been studying ways of regreening devastated areas. After a couple of setbacks he was about to give up on this, but then, by chance, he found a way. At the time he was travelling in Niger and needed to let some air out of the tires. As he looked to the North, South, East and West, he spotted something. Something green was growing in the sand. Soon, Tony discovered that it was shoots from the root of a tree and there were more roots once he had begun to dig. The roots were still alive. It was an eye-opening moment for Tony. If these shoots could be protected for some time, maybe this really could be a forest again. But the main obstacle was not the low rainfall or even the livestock pressure but the mindset of the farmers. Their practice of slashing the shoots every year and allowing the livestock to graze the emerging shoots had to be rethought. But opposition from the farmers was overcome and livestock management and farming practices were changed, when after a year, it was obvious to see the change that had been achieved. To honour their involvement, Tony chose the name: Farmer Managed Natural Regeneration. More than a staggering 200 million trees have been able to regenerate in Niger. A few trees on the fields of farmers can make a difference: Up to 100 % more crop yield and in northern and southern Ethiopia, the practice of FMNR has resulted in increased groundwater levels. A significant side benefit of this method is the restoration of a diverse range of indigenous trees. There are more than a thousand tree species in Africa and some have amazing features: some leaves make great fertiliser, many trees and bushes can be used as a traditional “pharmacy“, some berries and roots are nutritious supplements for children and many trees produce firewood as well as fodder. Wild animals return once the forest returns as birds deliver the seeds from other areas and the micro-climate changes due to the shade, the increased humidity and soil fertility. Three years ago, I went home after attending the first “Beating Famine” conference in Nairobi, full of hope. This hope has not been disappointed. Eighteen countries so far are implementing FMNR with the support of World Vision and in my mind, the biggest success is that by word of mouth, more and more farmers have joined this movement spreading it to areas where no Non-Government organisation operates. Contrary to the old saying, it will not be silence that is golden at the conference in Malawi, but Talk leading to action! 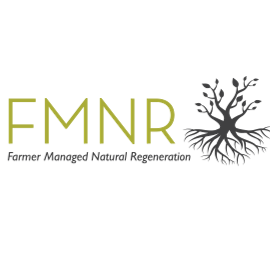 We are very pleased to continue seen the great job done by Tony Renaudo about FMNR. In Mali we have building capacity of farmers to increase their crop production by FMNR adoption and practicing and by addition some agro-ecological techniques.